For Outdoor Trampolines with 240 cm in diameter. 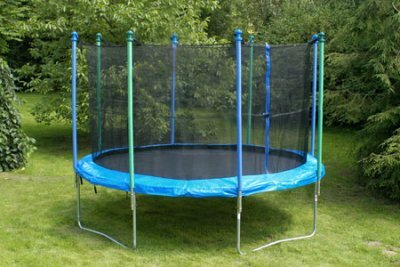 The safety net Bremshey increases the safety while jumping on the trampoline - suitable for theBremshey Funhop Giga. The safety net for Bremshey trampolines avoids the lateral missing of the trampoline and increases the joy of the user.